Great card! It can be frustrating when a “simple” card becomes a pain in the rear!! Your story is all too familiar as I've had many different versions of same. I like the effect of orange on yellow, as well as the splotchy coloring and the uneven lines. It all looks like it was meant to be. 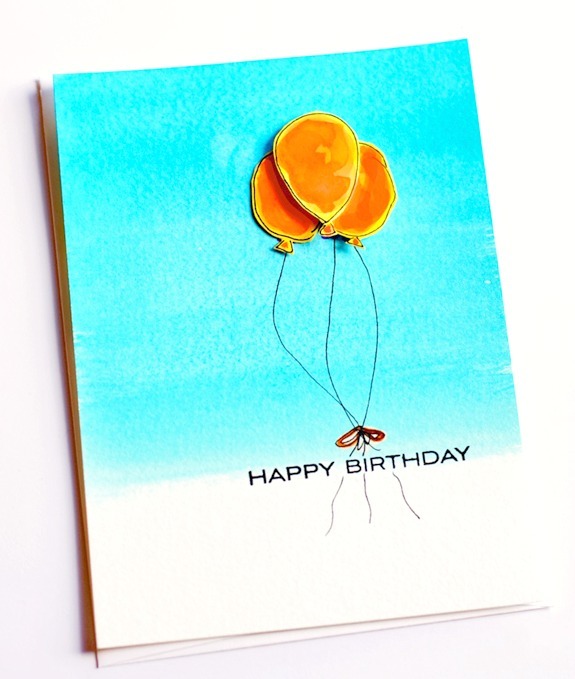 I also love the blue background, stopping part way with the sentiment at the lower edge intersecting the balloon strings. I need to clean up my room and stay out of it for a while, I think.